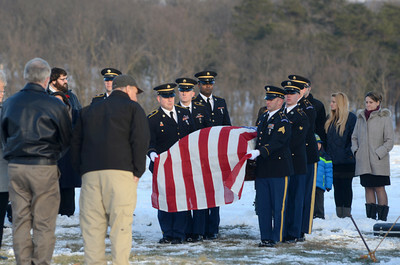 A Marine color guard unit carries the coffin of former state representative Merle Phillips at his burial site on Saturday. 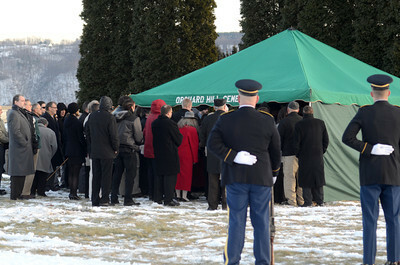 Mourners gather around the burial site of Merle Phillips on Saturday afternoon. 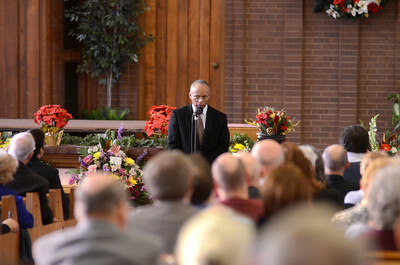 Michael Phillips speaks at his fathers, Merle Phillips, funeral on Saturday. 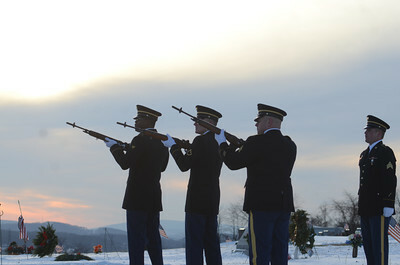 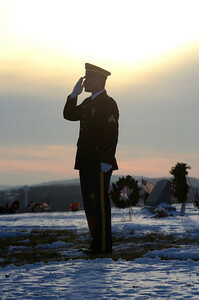 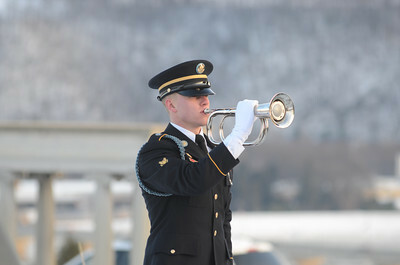 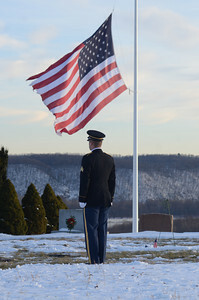 A Marine color guard memer salutes during the funeral service for Merle Phillips on Saturday. 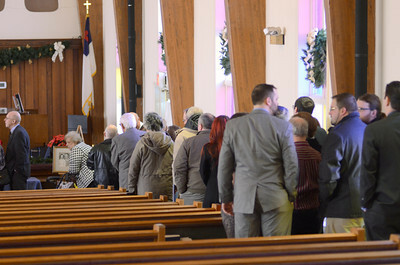 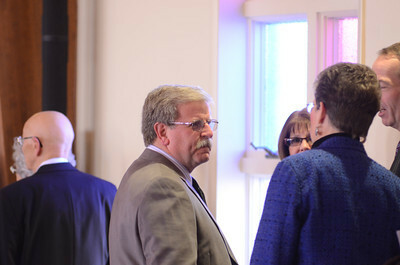 Friends and family of Merle Phillips wait in line at his viewing on Saturday before his funeral. 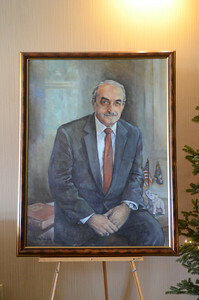 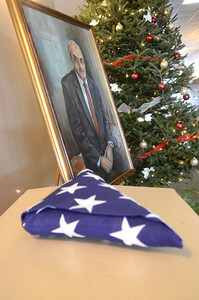 A flag that was placed with the coffin of Merle Phillips sits in front of a portrait of him painted by Tina Reiley, at his funeral service on Saturday. 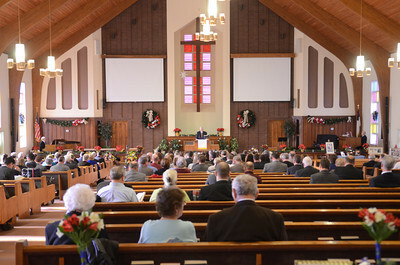 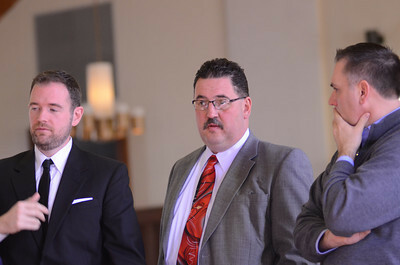 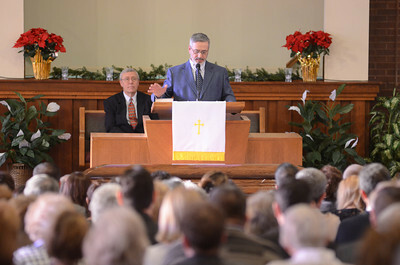 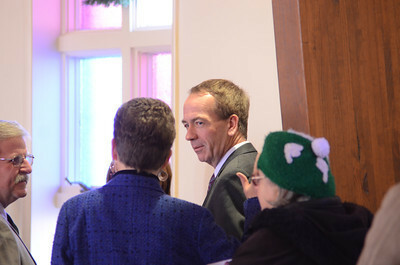 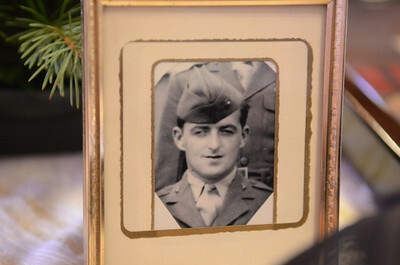 Merle Phillips Son-In-Law John Bysko, speaks at his funeral on Saturday. 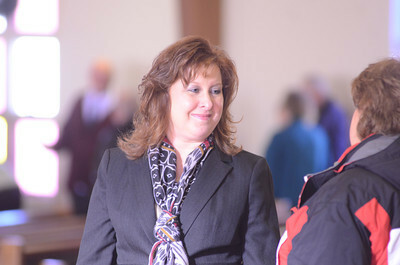 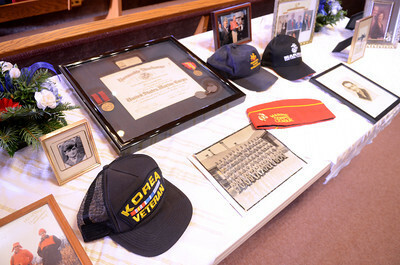 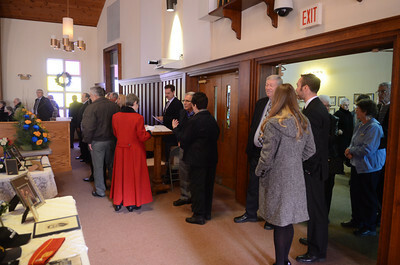 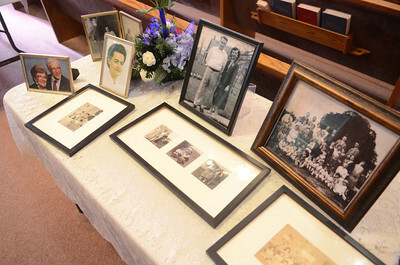 Momentos of Merle Phillips on display at his funeral on Saturday.